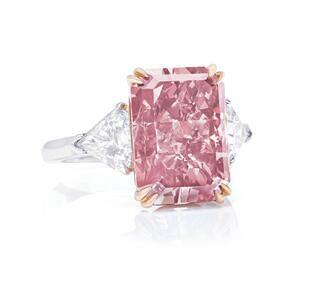 The undisputed star of this winter’s Christie's Geneva auction was none other than the Pink Legacy; a beautiful 18.96 carat, VS1, emerald cut, Fancy Vivid Pink stone, previously owned by the Oppenheimer family. 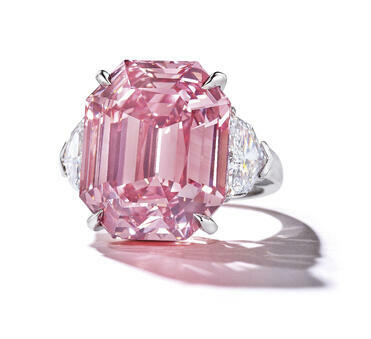 The winning bit was made by Harry Winston, who offered an astounding $50 million for the stone, meeting the high pre-auction estimate after just 5 minutes of bidding. “We are proud to continue in the Winston tradition of acquiring the finest gems in the world,” Harry Winston, CEO of Hayek. The above price tag translates to a jaw-dropping $2.7 million per carat, truly shattering the per carat record for its category. 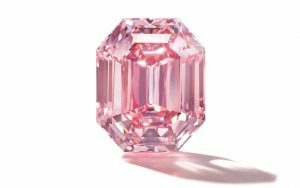 Previously, the record was held by the Pink Promise, a 14.93, VVS1, Fancy Vivid Pink, and was set almost exactly a year ago, at the 2017 Christie's Hong Kong auction, selling for $2.2 million per carat. 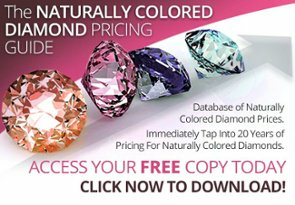 While orange undertones in pink diamonds are seen as “undesirable,” often leading to price discounts, we saw something unique in this stone. The mixture of hues and deep saturation is a very rare combination of characteristics, especially for diamonds in this carat range. The stone did have some internal graining, but it did not affect its translucency. Another winning attribute of this stone was its high dispersion of color, which is always a plus when looking at naturally colored diamonds. All in all, this 8.25 carat, VVS1, rectangular cut (with cut corners,) Fancy Deep, Orangy-Pink diamond managed to yield an impressive $448 thousand per carat. 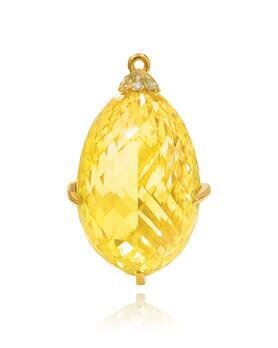 This massive 81.40 carat, VS2, briolette cut, Fancy Intense Yellow diamond caught our attention with its shape and size. While briollete cut diamonds bring excellent yield from the rough, fancy colors stones of this shape are not often seen in the marketplace. This is mainly because color retention is poor, due to light passing through the stone with little interruptions and minimal refraction. As such, color dispersion is inherently low and can mainly be seen on the edges of the stone. With such a good color grading and saturation, we believe that if the diamond was polished into a pear cut, it would have been given a vivid yellow grading. 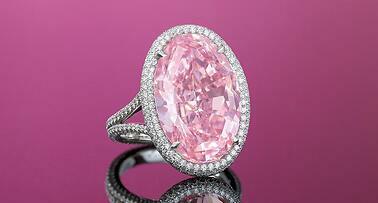 Nevertheless, the stone still managed to surpass its high pre-auction estimate, yielding $35.2 thousand per carat. After a few “quiet” months in 2018, the Pink Legacy managed to reignite our excitement, and with the autumn auction season still underway we now cannot wait to see what other sales will be made before the new year. Which auctions have caught your attention this year? Which are you excited about? Let us know! And as always feel free to follow us on LinkedIn and Twitter.